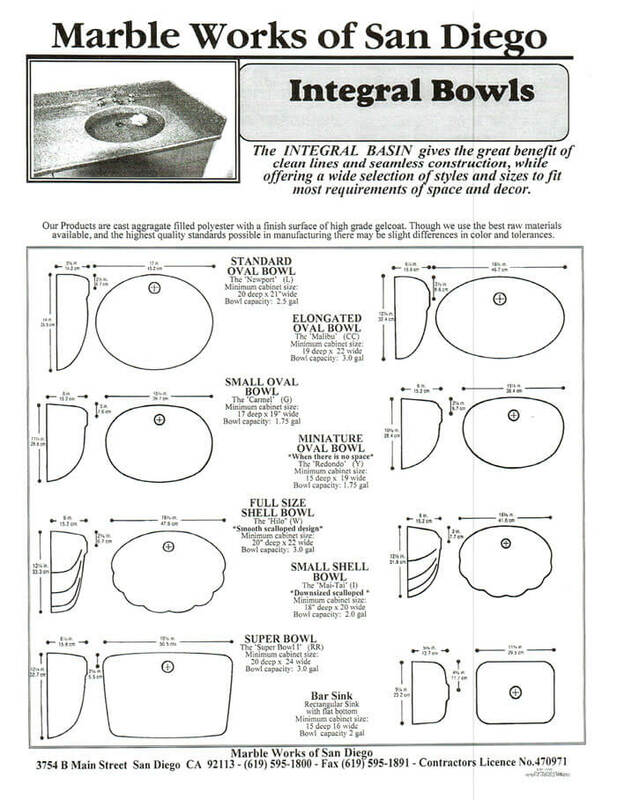 The integral basin gives the great benefit of clean lines and seamless construction, while offering a wide selection of styles and sizes to fit most requirements of space and decor. I want you to know how happy we are with our new bathroom. Your people did an excellent job. They were all professional. They did a great job of cleaning up after themselves. You could hardly tell they had been working at our house. We'll be sure to tell everyone how pleased we are with the work you did for us.